SNOWMASS VILLAGE — When Related Companies put Base Village under contract recently, the package of assets did not include the right to brand and operate a hotel as The Little Nell Snowmass. “The license agreement was terminated in late 2010,” said Jeff Hanle, spokesman for Aspen Skiing Co.
Skico owns and operates The Little Nell hotel at the base of Aspen Mountain and owns the rights to the brand. The Little Nell in Aspen is one of only three hotels at ski areas in the West that carry both a five-star and a five-diamond rating, along with the Stein Erickson Lodge in Deer Valley, Utah, and the Four Seasons in Jackson Hole, Wyo. The stars are awarded by Forbes and the diamonds by AAA, the American Automobile Association. In 2007, Skico executives were planning to operate The Little Nell Snowmass as a five-star, five-diamond hotel and licensing the Little Nell name to another operator in Jackson Hole. Today, the Jackson Hole deal is well off the table, and it is unclear whether a Little Nell Snowmass deal will be revived. After buying Base Village from Skico and Intrawest for $169 million in 2007, with the Little Nell Snowmass deal in place, Related then lost the whole project to foreclosure in the wake of the financial crisis. The four European banks that now own the asset have reached a deal to sell it back to Related for an as yet undisclosed price. The deal is expected to close by the end of the year. A representative for Related declined to comment on the prospect of a Little Nell in Snowmass, as the company is not discussing the Base Village project publicly until the deal closes. Skico still owns commercial property in the completed section of Base Village, including the Treehouse children’s center and its ski area ticket offices. It leases the space where it operates Sneaky’s Tavern. Skico also still owns the Fanny Hill townhomes site just above Base Village. It has recently asked the town to continue its pending land-use application for 10 units there until April 2013. And, of course, Skico also operates Snowmass Ski Area, where Base Village is located. But outside of those interests, Skico has no financial involvement with Related in its effort to re-purchase Base Village, Hanle said. Today, Building 8 in Base Village, where the Nell was supposed to be, is about 12 percent complete, according to Michael Tande, a vice president at Lowe Enterprises. Lowe has been managing Base Village for the banks during and after the foreclosure. Building 8 is on lower Wood Road, between the Base Village parking garage and the Viceroy hotel. It is wrapped in a temporary exterior, awaiting new construction workers. Building 8, at 66,000 square feet, was specifically designed to be a Little Nell condo-hotel. It was to have 27 for-sale luxury condos, 19 of which were to have lock-off rooms that could be rented as hotel rooms. The one- to four-bedroom units ranged in size from 1,256 square feet to 3,599 square feet. The Little Nell Snowmass would have included a private “mountain club,” a restaurant, 24-hour room service and other amenities. There was also to be a Little Nell Snowmass Residences complex in Building 5 in Base Village. Construction never began on that building, which was to include 57 luxury condos. 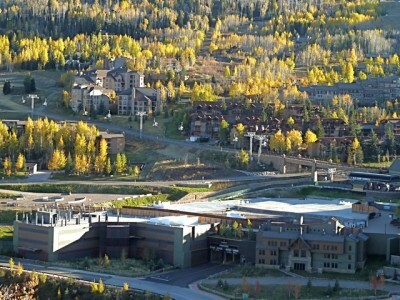 In February 2008, sales were brisk for units at The Little Nell Snowmass. The Aspen Daily News reported that 16 of the units had been put under contract at prices ranging from $3.1 million for a one-bedroom unit and up to $11.5 million for a three-bedroom unit. The prices worked out to about $2,800 a square foot, perhaps a high-water mark for Snowmass Village. Related executives were bullish on the timeline for Base Village, saying in early 2008 that the Nell in Snowmass would be open in 2010. But by December 2008, the company told Snowmass Town Council that its financing for the Nell, which was not part of its $520 million loan package from the four European banks, had fallen apart. By March 2009, construction on the Nell had stopped. In June 2009, would-be buyers were given their money back, with interest. 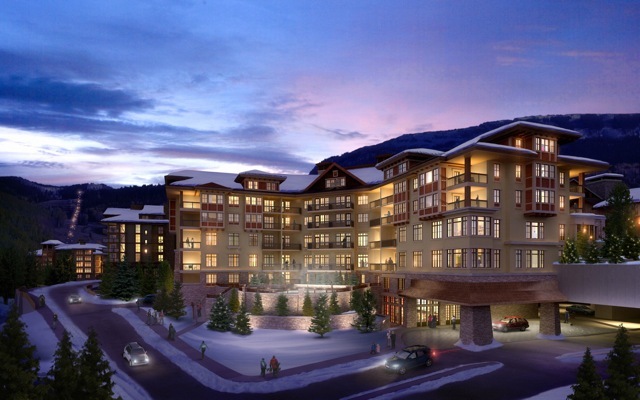 Today, the sting of Snowmass Village not getting a Little Nell of its own appears to have been softened by the opening of the Viceroy hotel, which seeks to operate at a four-star level, and by the renovation now under way to turn the former Silvertree hotel into a Westin. “It would be nice to have the Nell, certainly, but I think some of the pressure has been taken off from the Viceroy,” said Greg Rulon, a veteran real estate broker in Snowmass Village now with Joshua and Co.
Rulon also said he recently took a hard-hat tour of the emerging Westin hotel, which is to include a New Belgium brew pub in the old Wildwood hotel space. “It was pretty impressive,” he said. Tim Estin, a broker with Coldwell Banker Mason Morse, had a similar view. “I think in the early days of Base Village development of 2005 the Little Nell hotel was very important for the future of the Base Village because it served as validation or imprimatur of the quality of development in which the Base Village aspired to,” Estin said via email. Editor’s note: This story was also published in The Aspen Times on Saturday, May 19, 2012. This version of the story has been corrected to reflect that Tim Estin works for Coldwell Banker Mason Morse.